Isn’t everything around us getting better or at least evolving? Thanks to the improvement in technology, we are now surrounded by smart products, appliances, and tech gadgets that can help us do things in a better way. One such example is the latest versions of digital, smart, and programmable postal scales which are designed to provide convenience. However, to make sure you are getting precise and accurate weight readings, you first need to learn how to use a postal scale the right way. What Are the Different Types of Postal Scales? First of all, you may find postal or shipping scales a little confusing as they are available in different types and sizes. You can find a simple, manual, traditional postal scale in the market as well as a latest, digital, smart postal scale for a higher price. 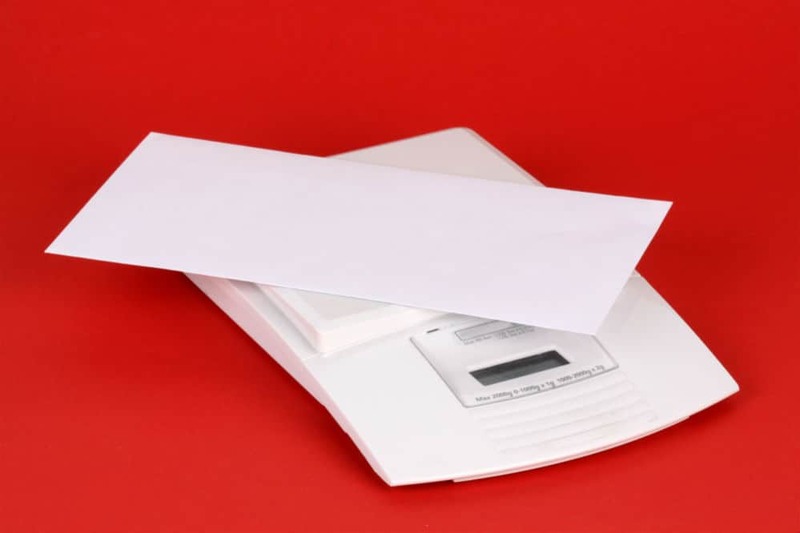 What Is the Benefit of Owning a Postal Scale? Many businesses often find it unnecessary to buy a postal scale when they already have other types of scales, but postal scales are better as they are precisely designed to weigh posts and parcels. Businesses that deal with a lot of parcels and deliveries can save up to thousands of dollars by avoiding overpaying for postage. When businesses are not sure about precise weight due to substandard or all-purpose scales, they prefer to pay for higher price postage to prevent the return of a package after a week. That said, digital postal scales are a perfect and affordable solution to this problem. You don’t ever have to guess the weight, don’t have to pay more for postage, and don’t have to worry about parcel returned to you because of underpaid postage. On average, businesses can save around 10% to 15% on shipping costs if they are using precise postal scales to measure the parcels correctly. That is why it is not only important to buy a good digital postal scale, but you also need to know how to use it in detail. Overall, if you are a business that cares about cost reduction and employee efficiency, postal scales, especially programmable USB postal scales, are just the right option for you. What Postal Scale Should You Use? 1. Digital or Manual Postal Scale? As mentioned above, digital or programmable postal scales are better when it comes to precise calculations. Manual scales are not easy to read and do not calculate shipping charges on their own like some latest, smart, programmable scales that can even compare carriers on their own. All in all, when better digital and programmable postal scales are available, there is no point buying a mechanical scale, unless you are an Amish. Digital scales also round the final reading to several decimal places to eliminate any chance of human error. It is always inevitable that you buy one that is according to your needs, especially when it comes to the size of the average packages you deal with. Even if you have a digital postal scale, using a smaller size for a large package may result in the error. Thus, make sure to use an appropriate size to get the precise reading. For that, you need to check the weight limit of the postal scale you’re using or buying. Some options range from three pounds to 250 pounds. How to Use a Postal Scale? Using a postal scale is a straightforward process. All you need is to place the package on the weighing scale, note down the reading, and move to the next package. Simple! Most of the latest USB programmable postal scales are also pretty straightforward to use. They come with their own software and USB that allow you to connect them with your computer, and add information to their programmable memory. In addition, these scales allow you to connect to some database software that will enable you to save the readings directly in the database on your computer. That saves time and labor as you don’t have to find someone to record the weights manually. Some of the latest models can also be connected to the postage readers, which means the postal scale will automatically detect the postal rates from the reader, and even compare the carrier’s price. Some even print out the shipping labels as you can also connect them with the printer. This saves a lot of time as you don’t have to go to the post office to get it labeled. Instead, a mail carrier can just pick the labeled package up from your business address or doorstep. In addition, some programmable digital scales also allow you to keep a pre-paid postage account with carriers like USPS. This means you don’t have to keep track of dozens of shipping receipts every day that makes it a hassle-free process for your accounts department. Overall, it is a pretty smart device that does almost everything on its own. Even though more expensive than manual and basic digital postal scale, it saves you a lot of time, effort, and money. We are sure you now have a clear idea of how to use a postal scale, no matter if you have a manual, digital, or USB programmable postal scale. The process is straightforward for manual and digital scales, but for programmable scales, you need to connect your scale to software and provide information to program it accordingly. Nonetheless, they are the best option out there as they record all data on their own, and you don’t have to record or do anything other than putting the package on the scale. Although using a postal scale is very easy and learning about how to use it is not an issue, buying the right one is important. Make sure you are buying the one that is good enough for your needs with a weight limit according to the size and weight of packages you deal with regularly.